It’s time for Brits to brush up on their Amharic skills as Ethiopia has been named the World’s Best Tourism Destination for 2015. The African country was awarded the title by the European Council of Tourism and Trade who praised the location on its natural beauty and stunning landscapes along with its traditional culture. 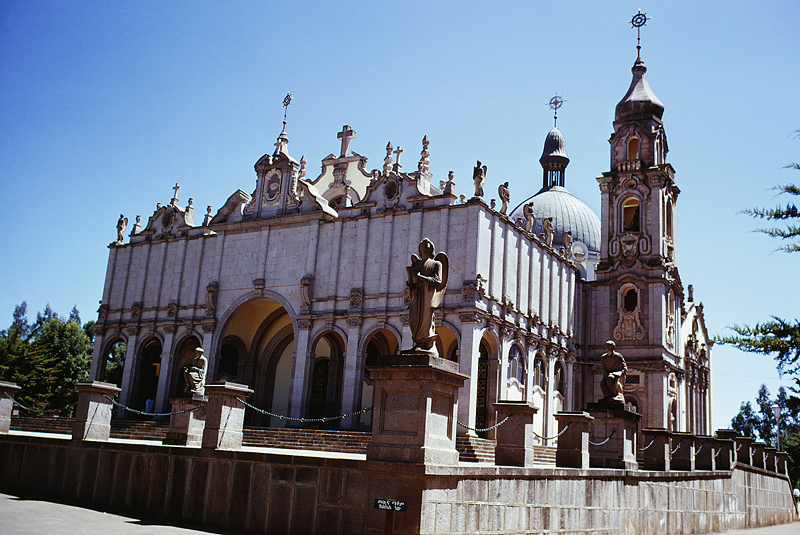 31 countries were considered for the title, with Ethiopia topping the list with its nine UNESCO World Heritage Sites. Ethiopia plans to boost their tourism revenue to $3 billion (c. £1.9 billion) this year – revenue stood at $2 billion (c. £1.3 billion) during 2013 – and will compete with the likes of Kenya and Tanzania when this is achieved. However, instead of promoting a relaxing beach holiday, Ethiopia is now enticing tourists from around the world with its imperial past along with its below-the-ground 13th century churches. Visitor numbers to the destination have increased by 12% year-on-year over the past decade; reaching 600,000 in 2014 and with a target of 1 million for this year. Even the capital, Addis Ababa, has transformed itself over recent years – shedding the image of starvation associated from the 1970s to become an area of booming employment and construction. The European Council of Tourism and Trade even complemented the country on its fantastic preservation of humanity landmarks, which include Fasil Ghebbi and Aksum, and applauded it for its authentic culture which remains relatively undisturbed. Due to the country’s rapid growth, hotel firms are flocking to the area and this is expected to cause more tourists to fly into the country over coming years. Senator Ionel Agrigoroaiei, Director of European Parliamentary Committee in the European Council of Tourism and Trade, said that Ethiopia truly deserved this award.